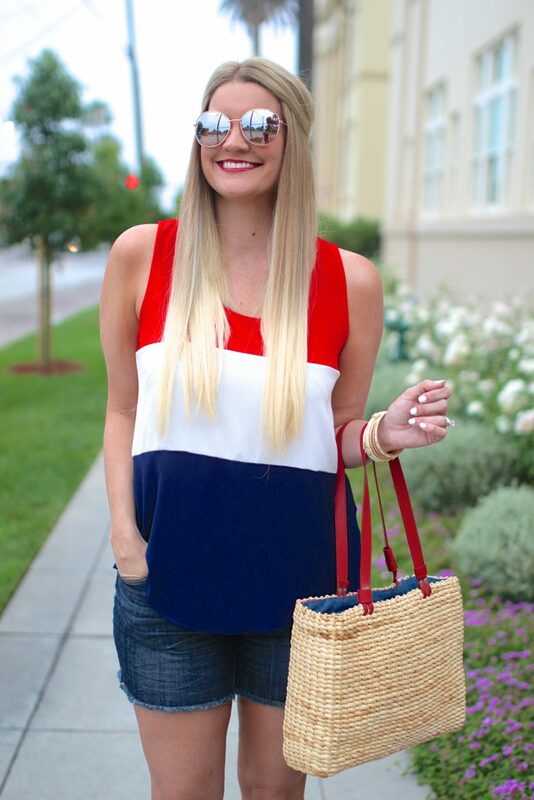 Things I love about this post: It’s red, white & blue – WOHOO! Thank you so much for stopping by, and I hope you all have a great summer weekend! 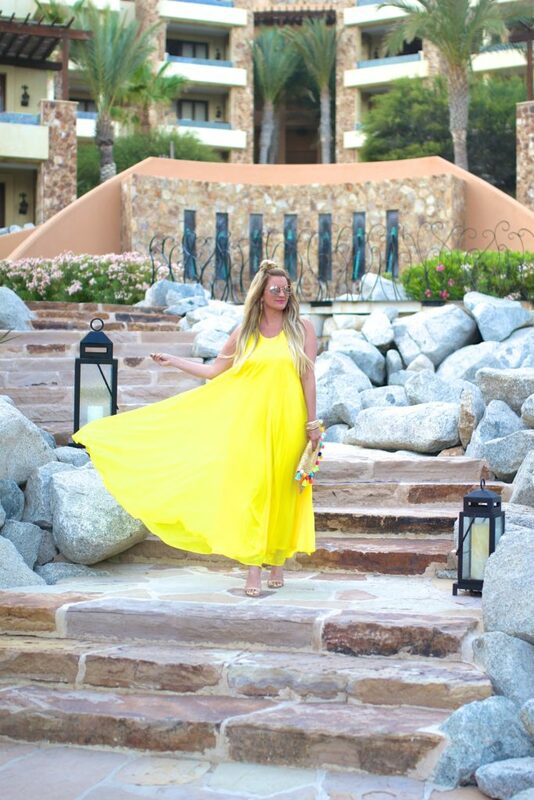 I love wearing yellow in the summer. 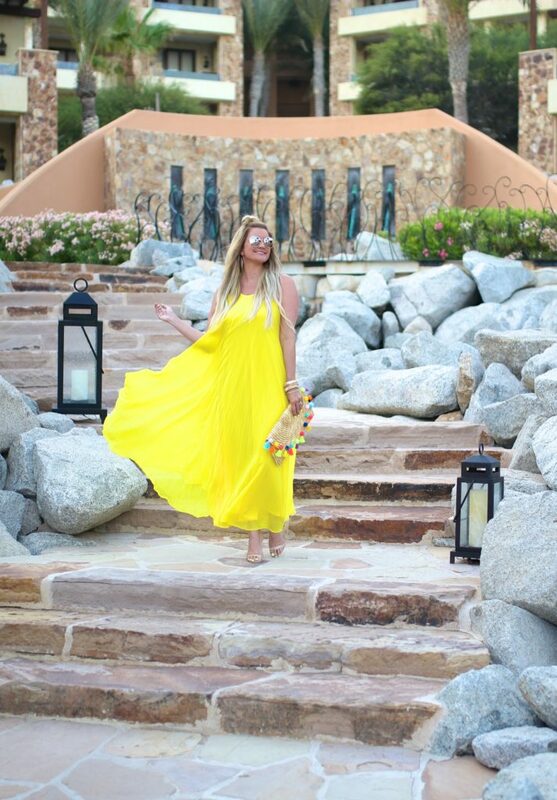 It reminds me of all things sunshine, lemonade and maybe a margarita or two (are those even yellow?). 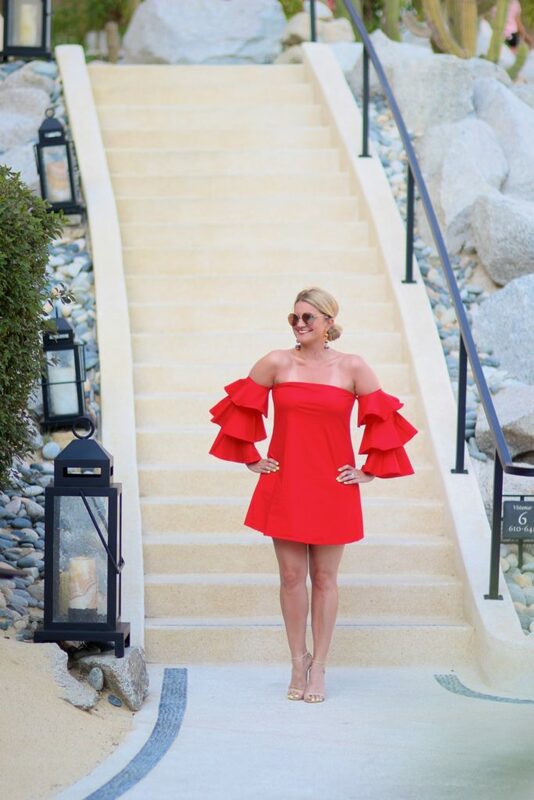 This was my go-to dress while in Cabo. It was so flowy and breezy, I actually felt like I was floating down these steps. And can we just take a moment for this staircase? I mean…wow. I love finding places to shoot that are beautiful and different. 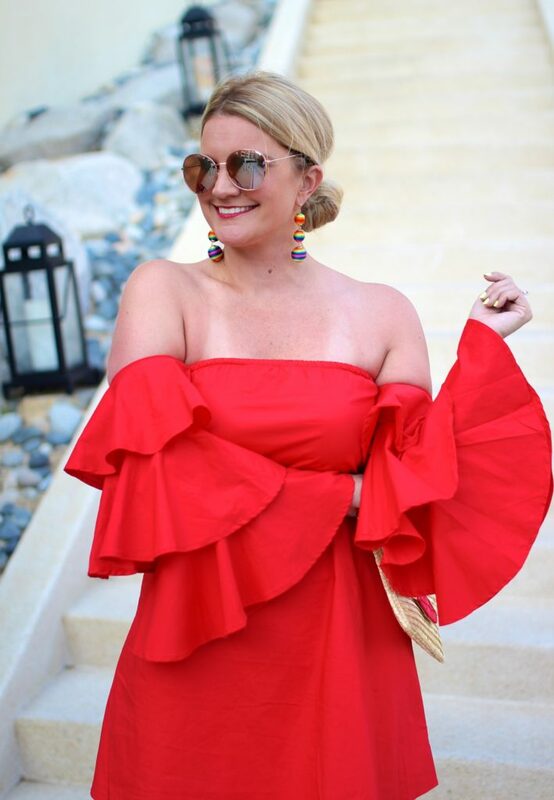 I think this dress would have been a better fit, lets say in a tropical location (like Maui last year), but it had been hanging in my closet for weeks, so it was coming with me no matter what! Palm print & cactus? Sure, why not? 🙂 Let’s be honest; tropical print is A-OK for any vacation in my book. I don’t think there is much more to say about this frilly frock – except for the fact that I fell in love (HARD) the minute I saw it. Originally it came in black and also white, but unfortunately only the black is still available. What I loved about the tiered sleeves was that they stayed flared & fabulous all on their own (no need for additional poofing from me, which I l-o-v-e-d!). Another bonus? 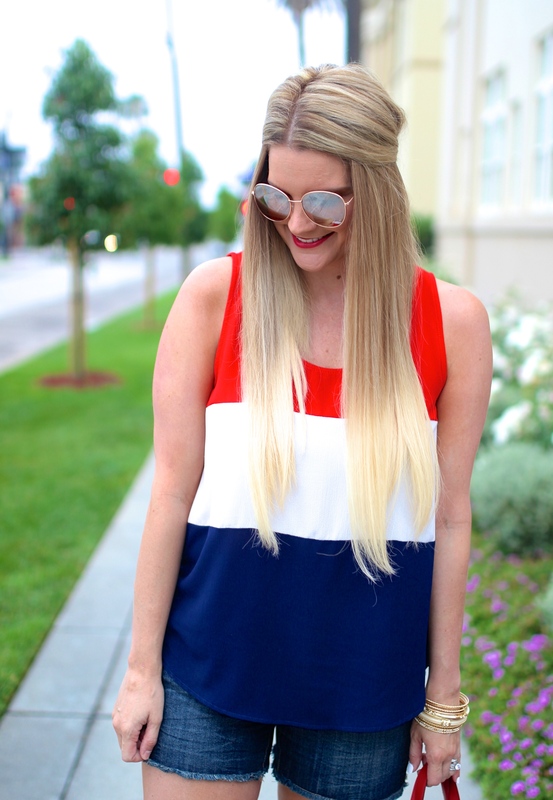 The elastic neckline doesn’t budge – such a win! Thank you so much for stopping by. Hope you have a great weekend! Finding jeans for winter – UGH. 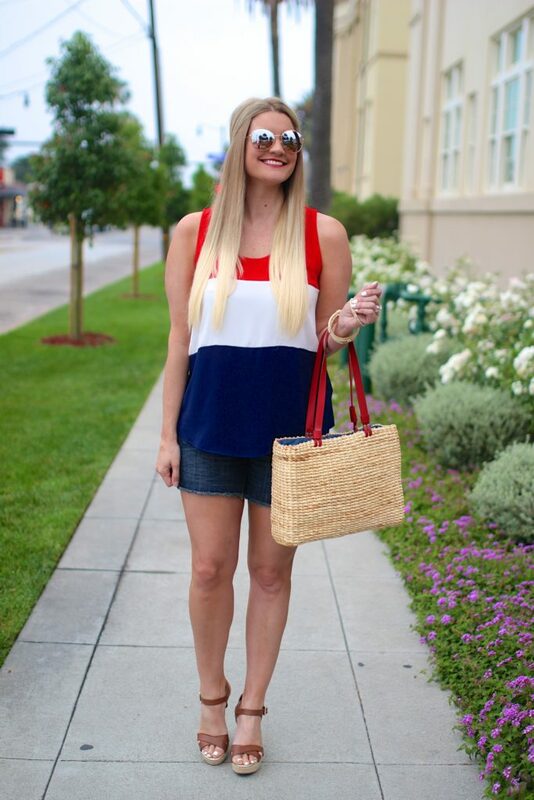 Finding shorts for summer – DOUBLE UGH. We are on our way home from Cabo, where we have spent the past week on vacation. It was seriously a total dream! 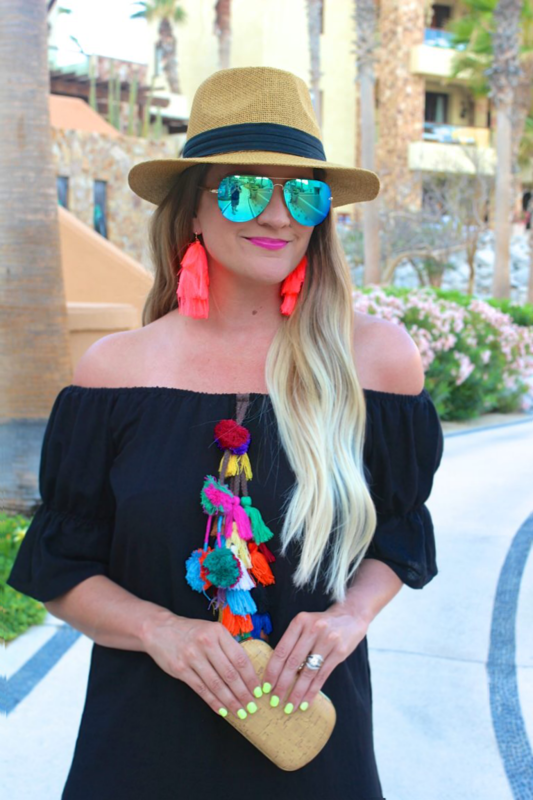 The hotel was hands down AH-mazing, and I have officially gained 10 pounds from all of the amazing food (my personal favorite were the chips, guacamole and cocktails they bring to your room everyday at 4PM!). I’ll be sharing some pics from the trip on my Instagram this week, and my first blog post from Mexico will be on Thursday! Hope to see you then!